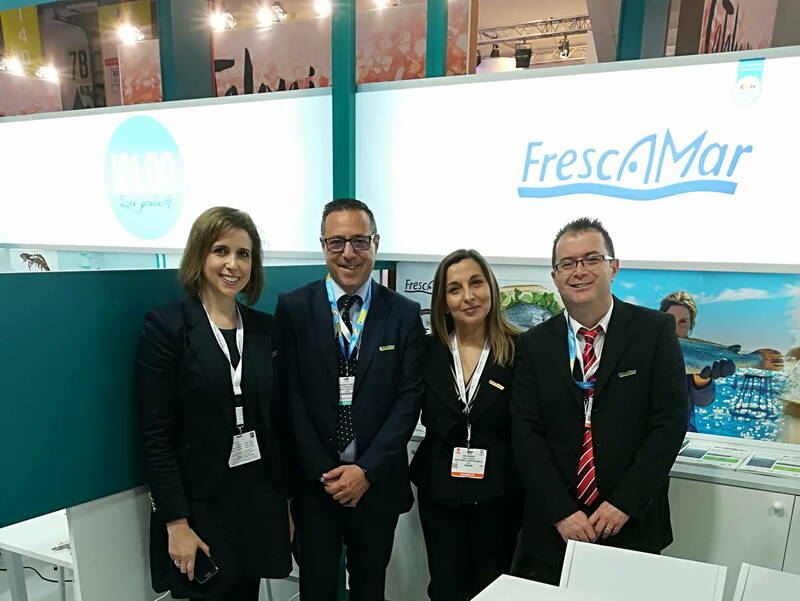 One more year, Frescamar Alimentación has been present at Seafood Expo Global, one of the biggest worldwide events dedicated to fish and seafood. The meeting, held in Brussels, has brought together about 2,000 companies and 30,000 visitors from more than 150 countries. 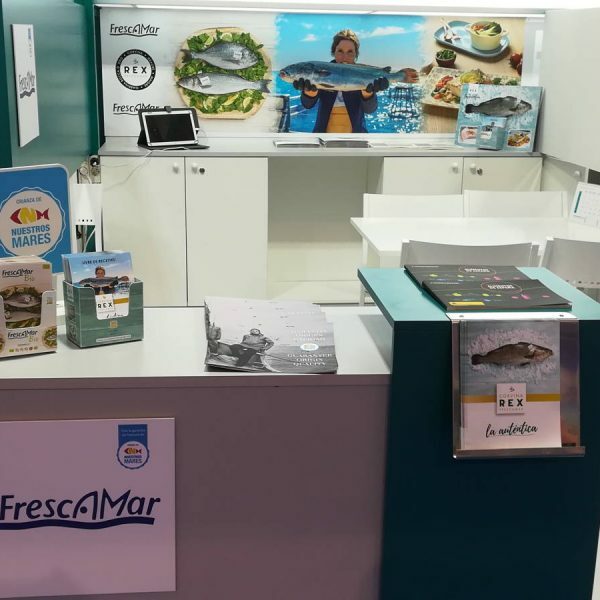 On its twenty-sixth edition, the event has counted with a score of Spanish companies that, with the support of the Ministry of Agriculture and Fisheries, Food and Environment (MAPAMA), have successfully exhibited their seafood products. 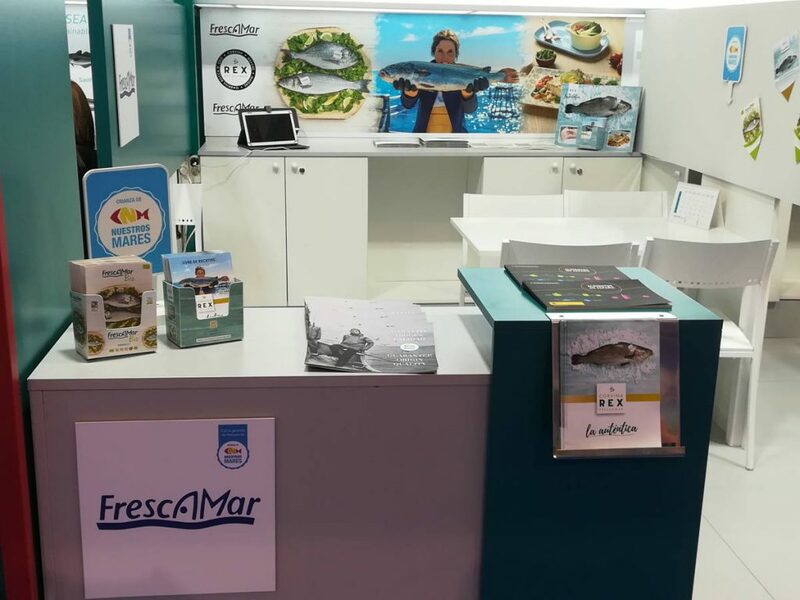 “Get to know our fishery, competitive and sustainable” has been the motto of the Spanish pavilion in which, by the hand of the Business Association of Marine Cultivators of Spain (Apromar), Frescamar Alimentación has offered information about Corvina REX, its leading product, as well as on the rest of its range. Two days that have brought together suppliers, buyers and other professionals from the sea around the world and in which the seal “Crianza de Nuestros Mares” has been emphasized for the Spanish marine aquaculture products. A seal that allows the consumer to identify at the fish counter the sea bream, sea bass and corvina, which, just as REX, are bred in our seas by a tag fixed on the gills of each piece. Frescamar attends this event year after year with the aim not only present its offer and receiving customers and suppliers, but also to keep aware of the new market trends.